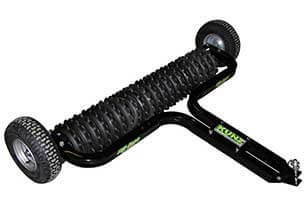 Kunz Engineering Inc. is a family owned business that was founded in 1992 and manufactures the AcrEase Tow-Pull Behind Mowers and Till-Ease Tillage Equipment product lines. Our goal is to design and manufacture the best products we can. Our design criteria is actually quite simple. The products we design have to be durable and capable of performing above and beyond our competitors. We stand behind all of the products we sell and the Kunz family name only gets placed on the best. Industry leading quality and performance. 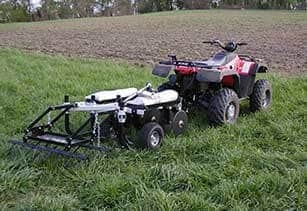 Ideal for trails, fields, food plots and other overgrown areas. 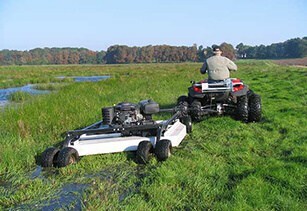 Drastically reduce mowing times. Ideal for both commercial and homeowner use on large properties. Aggressive engineered design that works in a wide variety of soil conditions. Ideal for food plots, large gardens and landscape jobs. Currently the Till-Ease Cultipakers are offered in three different widths, 48", 60" and 72". I have to say my 44 inch rough cut mower is a beast and performs way beyond my expectations. I did a lot of research on different pull behind mowers. I ended up making the decision on the AcrEase brand on my conversation with the local sales rep for my area. I have a 400 acre cattle farm. I have a couple of tractors along with two different size flex wing mowers. I needed another mower to go into all the places I dared not to with the big tractors and flex wings. This machine fit the niche perfectly. I use it around my pond with the floatation kit added on. This is a must I believe. 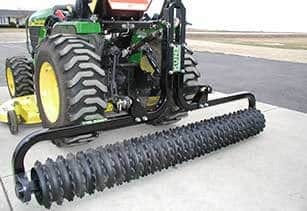 I use it in roadside ditches as well as in and amongst the woods where its too tight to cut with the bigger tractors. This machine is built as heavy and solid as any of the flexwings and has power to spare. I can’t give enough examples describing how awesome this machine is. Buy it, you won’t regret it. I am about to celebrate my one year anniversary with my 57 inch rough cut mower I bought from you. I cannot begin to tell you how pleased I have been. This mower has been asked to do more clearing than I ever though it could do. To call it tough is an understatement. I have found that if the tow vehicle can make it through, so can the mower. Thank you for building a mower tougher than I thought was ever necessary. When you have a capability of cutting like this, it opens the door to trails through areas you thought inaccessible without much heavier equipment. Awesome mower. Thank you very much. I am sure you have heard all of this before, but this thing is a BEAST. It has exceeded my expectations (which were very high). Thank you so much for all of your help. Not only is your product second to none, so is your customer service. We just wanted to let you know how happy we are with the finish cut mower you sold us last October. We’ve been mowing a private grass airstrip and a ¾ mile trail through the woods and the mower does a fantastic job. Absolutely no problems or bugs to work out. It’s a relief not to have the problems we had with the other brand and a pleasure to go out and mow! I have a 60” finishing trail mower that I purchased 2nd hand. It is the best mower I have had in 35 years. Your product has been absolutely trouble free for 2 years. I use it for rough duty. In addition to mowing 30 acres of pasture, I use it to eliminate invasive species like honeysuckle. I can tow it over 4-5’ tall brush and it chews it up with no problems. It is also easy to use. My wife prefers it over our 35HP tractor with a 5’ rotary mower. Thank you for the awesome product. In a former life I was a tanker in the Army. This mower is the closest piece of equipment to an M1A1 I’ve seen in some time. And even better, unlike tanks, the mower starts every time. I would like to thank you and all of Kunz Engineering employees on the outstanding quality and craftsmanship that you are producing. It is nice to see American quality at work. The Till-Ease that I received last week was everything you had said it was. I was able to work my garden in about thirty minutes. This would have taken me four or five weekends with my tiller. I am telling everyone that might need something like this to order from you. Just a note to tell you how much I appreciate your high-quality mower! I’m into my second season of mowing now and my AcrEase is incredible. Just like advertised, it’ll go through anything. I’m the envy of my community. Thank you very much for the quality of service you have given over the years. 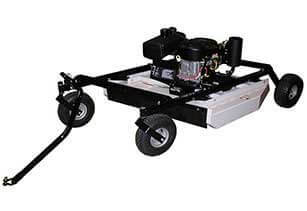 It is rare to find a product that is of the quality and dependability as this mower. 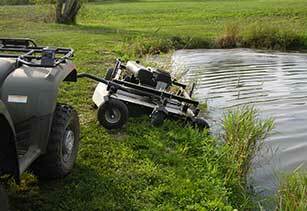 Great for mowing around ponds and on rough uneven ground where scalping would normally occur. 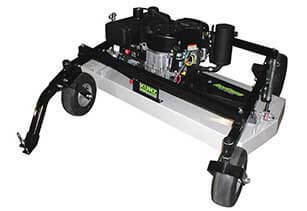 Kits available for both rough cut and finish cut mowers. Great for wetlands or marshy areas that stay wet year around. Kits available for both 44" and 57" rough cut models. Great for final seedbed preparation. Levels ground and helps to reduce clod size. 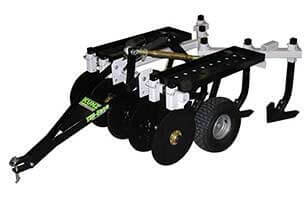 Attaches directly to the back of the Till-Ease Model 543 Chisel Plow. Optional kit that allows the Till-Ease Model TP Cultipackers to be converted from a pull behind to a 3-point tractor mounted implement.